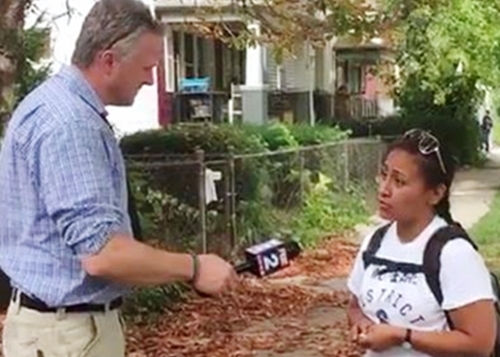 Community pride and unease about the media fuel a strong backlash against a Fox 2 News report about building code violations at a Detroit councilwoman's home. In a story Tuesday night, M.L. Elrick said: "Detroit City Councilwoman Raquel Castañeda-López's home is nestled in one of the nicest neighborhoods in the Sixth Council District. It's far from one of the nicest homes." He cites blight violation notices from the city in 2011 and 2012. Neighbors and others, including a family member, push back on social media. Mariana Castañeda-López, a sister of the elected official, calls out the TV station for "their smear story that aired [Tuesday] night." Another Detroiter, NeShun Carter, posts: "It was low-down, dirty and rotten." His reaction is part of a lively Facebook thread started by Rashida Tlaib, an attorney who lives in the district and was a state representative from 2009-14. "She is Southwest's daughter and we don't let our own get attacked," Tlaib comments Wednesday. "When reporters come from privilege and attack others that don't, it makes me angry," the former legislator adds. "Attacking a family, not just my councilwoman, without knowing the full story, is disgusting and unethical." Two of the councilwoman's sisters, Mariana and Alicia, started a private Facebook group "as a platform for discussion of ideas to support" the family and perhaps improve the home. The description says: "What ideas do you have for countering this story by demonstrating our continued support for Raquel, and to pour love into this home that has nurtured so many beautiful people and needs some nurturing now?" Update: Volunteers plan exterior work Sunday (Sept. 24), according to Alicia Castañeda-López. They'll "scrape, paint and do a few other repairs," she posts. In his eight-minute story (video below), Elrick says: "We heard her home was about to become an election issue." On her Facebook page, Tlaib comments: "And we wonder why people like us don't run for office." 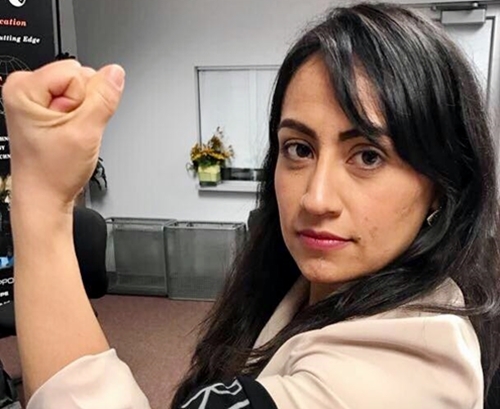 The Southwest Detroit councilwoman, a 35-year-old social worker, made her first try for public office in 2013 and became the first Latina elected to Detroit's Council. She's a first-generation college graduate with a bachelor's degree from the University of Montana and a master’s from the University of Michigan. "You know, my parents sacrificed so we could go to college and they didn't have enough to invest in repairing the home." On her reaction thread, Tlaib accuses accuses the station of "attacking a family . . . without knowing the full story. . . . It is more complicated. . . .
"I have always had my issues with Fox 2 and their ugly tactics. This is why I won't talk to them anymore for any story." M.L. Elrick interviews the councilwoman on her block. "Unless you know the struggle, you cannot understand. But for sure, this has made lots of more people . . . get behind her." -- Jesse Gonzales Sr.
"I respect the fact that she didn't abandon her family. She could've easily moved and left her people, but she understands that when all the City Council hype is gone, all you got is family. . . .
Detroit City Councilwoman Raquel Castañeda-López's office has been known to call the Detroit Building, Safety Engineering and Environmental Department to complain about blighted homes. Ironically, she lives in this rundown Southwest Detroit home across from Clark Park, reports M.L. Elrick. "There's nothing that we have heard in terms of the condition of the house. It's over 100 years old, for sure, so like most homes in the city of Detroit, needs repairs," she tells Fox 2 News. City records show in 2011, Castañeda-López's family was ordered to repair or replace defective gutters, remove peeling paint and repair the defective front porch. That was six years ago. She said the Detroit Building, Safety Engineering and Environmental Department (BSEED) don’t have anything on file in relation to her house. 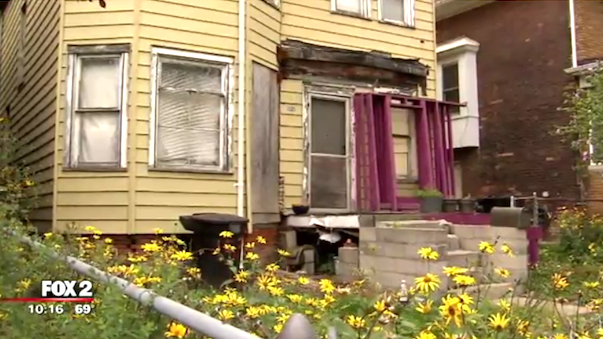 "To our knowledge we haven't received any blight violations. . . . There's no record from 2011," Castañeda-López said. "There's nothing else that was ever sent to our house or that BSEED has on file for our property." Our reporting found that Castañeda-López’s family was notified in 2011 that the home had violations. A zoning clearance check shows in 2012 the home needed repairs to gutters, downspouts, peeling paint and the porch. That was just a year later. When we showed Castañeda-López a copy of the document, the councilwoman said she was unaware of any notice sent to her home. "I would encourage you to check the validity of that document because I just spoke to BSEED this morning. So they didn't give me anything related to this. I just talked to them this morning, I'm sure they would have given me something if there was something on file, but they have nothing on file for 2011 or 2012," Castañeda-López said.